how do I save my game, and load it? 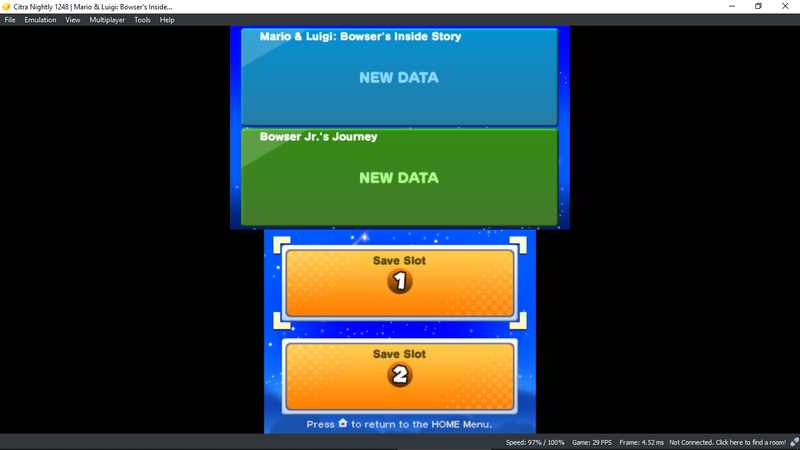 Hi, I recently downloaded both Nightly and Canary builds for Citra, and the first game I have downloaded was, “Mario and Luigi Bowser Inside story + Bowser JR”. I got pretty far. And decided to save in the game. And I closed Citra(Canary), opened it back up, and I had no save file or anything I can load. I went to Nightly, the same thing happened. Game: Mario and Luigi Bowser Inside story + Bowser JR"